Google Announced the Start Date of Ecommerce Analytics Course, Register Now!! In this summer season, Google is going to start Ecommerce Analytics Course for online marketers and business entrepreneurs. 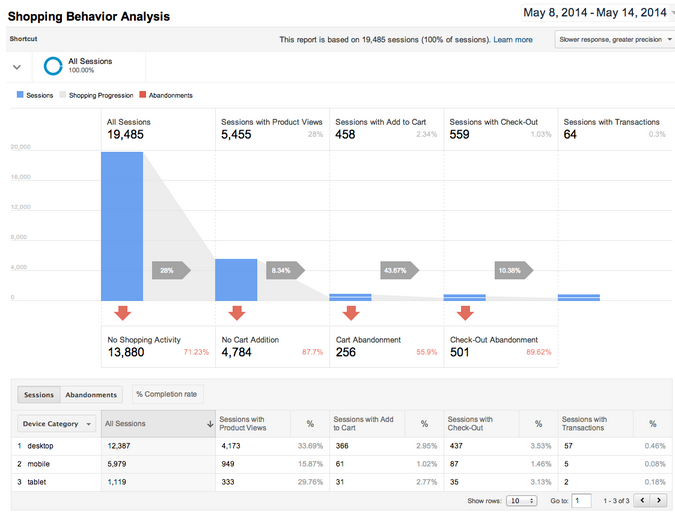 In its latest Analytics Blog, Google has announced the beta release of it’s Ecommerce Analytics. And from the next month (June), they will start an analytics academy to teach you, how to use Google analytics data effectively to make informed decisions. Before starting the course, they recommend you to complete the Digital Analytics Fundamentals. It will help you to understand the advance version of this course. Google Analytics Ecommerce data usually focus on product details, conversion details, customer details and others. But, in this competitive world all the marketers want to understand the entire behavior of their website visitors. The merchants always eager to know, which product on their site is performing best and where they are dropping off. Business owners now get the richer insights of shopper’s behaviors and monitor that how far customers get into the shopping funnel. This course will make you able to analyse: ‘Add to cart’ action, internal campaign clicks, the checkout process, conversions, etc. To join this course, you have to register here. They will send you notification emails on your registered ID when the course dates officially declared. Previous: Matt Cutts Tips: What Happens When a Page Has Two Links to the Same URL?